A new burger joint is opening soon in the Philly Burbs and this one has an interesting hook sure to pique the interest of the local Whole Foods/Trade Joe’s set. … a quick and casual restaurant offering 100% organic, grass-fed, free-range beef burgers. Ok, count me as excited because of one important adjective in that description: grass-fed. Organic is great and sure I’d love to know that the cows lived a nice life on the range, but the fact that they were grass-fed is key. When it comes down to it, cows that eat grass just taste better. Time Magazine wrote about it in’06. Elevation Burger is a rapidly growing, fast casual concept serving 100% USDA-certified organic beef burgers and fresh-cut fries cooked in heart-healthy 100% olive oil. Founded by husband and wife entrepreneurs Hans and April Hess in 2002, the chain prides itself on an “elevated” experience and an organic, fresh approach that puts people and product ahead of profit. The first location opened in 2005, offering Northern Virginia a health-conscious menu bursting with flavor. Hans and April’s belief that “Ingredients Matter” has brought the restaurant rapid success and popularity. Driven by their passion for delicious food that’s organic, sustainable and fresh, Elevation Burger began franchising in 2008. Restaurants are 1,500-2,000 square feet and seat 50 to 150 guests with outdoor seating. Outdoor seating is probably unlikely at the Wynnewood location, which fills the spot once occupied by Alex Long Chinese Cuisine in the front retail row of the Wynnewood Shopping Center (your typical suburban strip plaza with an Old Navy, BB&B, Genuardi’s and Borders). Having never been to one, Elevation Burger sounds to me like a mix between Five Guys and Chipotle, which should play well in my flexitarian household. The fact that they even have two varieties of veggie burgers on their menu has me pretty excited (though the two pattied + cheese “Elevation Burger” would still probably win out most times). 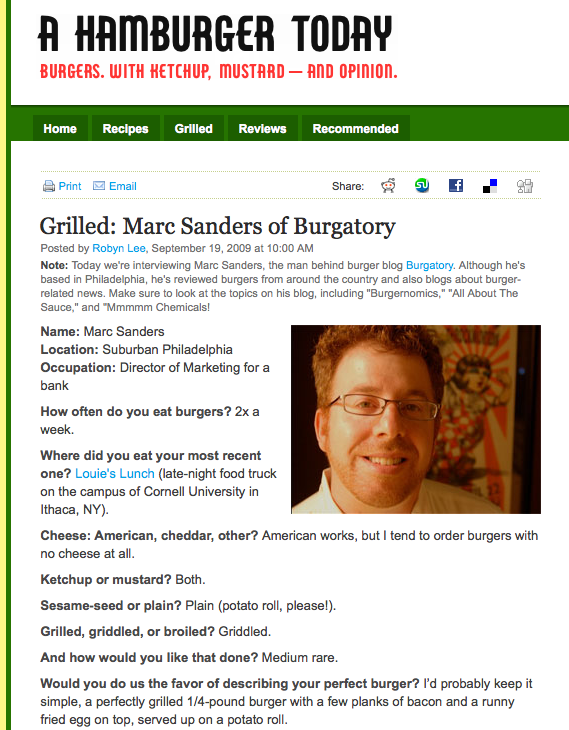 Editors Note: One of these days I’m going to have to write about the wealth of great veggie burgers in this area…the ones at the Penn Valley Pub in Narberth are actually better than the beef burgers (which is pretty darn good, too). If you are interested/motivated maybe you can apply to be the General Manager? According to the monster.com posting, this is one of five locations coming to the area. No idea on the opening date or further details but I will update if/when I learn more. Until then, here are a few reviews of the Falls Church, Va location. Bittman rains slightly on the grass-fed parade in his NYT Blog here. One more thing – the folks that created this place seem to truly understand the nuances of a good burger…check out this graphic from their website on the crucial topic of burger-to-bun ratio! Should be open this Spring, late April or Early May. Started working on the site this week. Should be open End of My early June. The #1 seller at Primanti brother’s is actually Iron City Beer. It’s a little joke.